Short Product Description: Cocoa L’ Orange is for all you chocolate lovers! It smells like a yummy chocolate and orange candy!! It has cocoa butter and shea butter for moisturizing your skin. 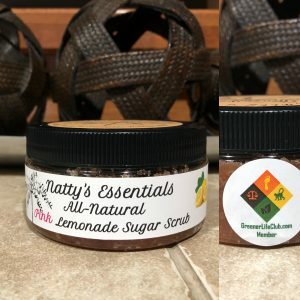 Product Website Address: aravah organics, inc.
Our handcrafted Soaps are made using natural and organic oils and butters that are rich lathering and healthy for you skin, unlike commercial soaps, which are very drying for your skin and loaded with harsh chemicals that are extremely bad for our bodies. Our soaps are anywhere from 4-4.5 oz., and because they are handmade, shapes and sizes may vary. 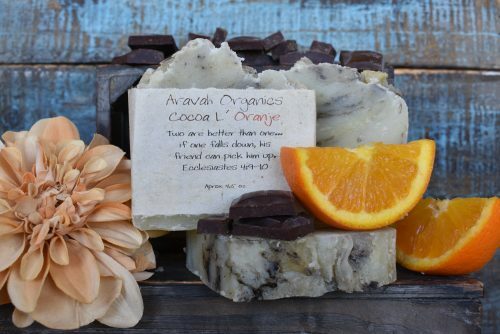 Cocoa L’ Orange smells amazing and so moisturizing on your skin. Company or Makers Name: aravah organics, inc.